Chanawicz brings to life characters and events that happened to me, working for 7 years at a family owned grocery store in Utica, NY. 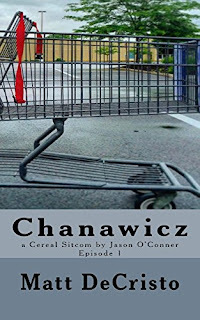 Chanawicz follows Jason O'Conner, a wannabe writer who can't seem to find his way out the small town town he is from. As he begins a new job at a grocery store, he begins to conjure his masterpiece - a sitcom based on the store, and the characters it holds within its walls. Told from a third person narration, the perspective also includes Jason's notes as he plans the creation of his screenplay.